This is a way overdue post. We went to Camiguin last December 2011 (around the time they are hit by that deadly flash flood) and previously posted this on Squidoo but I didn't get around to making it live due to Squidoo's strict rules. Have since forgotten this and only noticed the unpublished lens when I checked my account a few days ago. Camiguin is an island province located in the Bohol Sea in the Republic of the Philippines. It is just 10 km off the northern coast of Misamis Oriental in Mindanao so tourists can reach this place teeming with natural beauty from the gateway of Northern Mindanao which is the Cagayan de Oro City. 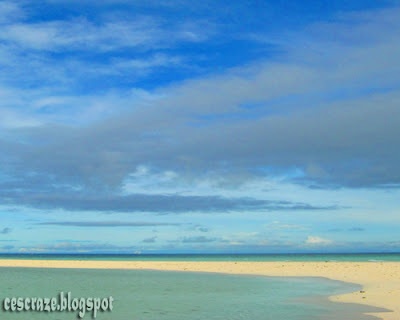 Camiguin is also accessible from Cebu City and Tagbilaran City. Going to the island from Cagayan de Oro City may mean hours of travel both by land and by sea but the effort is all worth it for you will surely be amazed of how blessed this little island is when it comes to natural resources. There are lots of hotspots to feast your eyes on and can give you the opportunity to experience the goodness of various natural wonders. White island is literally a white island because it is composed of solely of immaculate white sands. There are no trees or shelter in this approximately 700-meter sandbar so beach umbrellas are a must if you want to stay in this island for a day. Locals also rent out beach umbrellas for Php 150. The island is accessible from Brgy. Agoho or Brgy. Yumbing in Mambajao. Boats going to the island can be arranged from any of the beach front resorts facing the island. 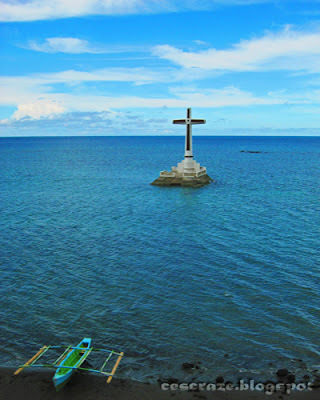 The Camiguin Walkway is the island's own depiction of the Stations of the Cross. The 100-step walkway that depicts the crucifixion of Jesus Christ is situated in Brgy. 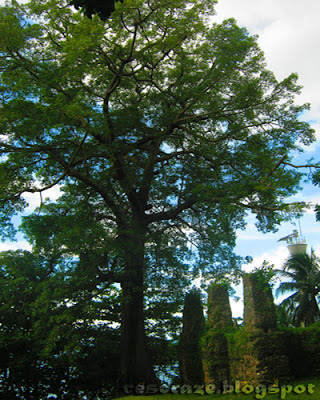 Bonbon, Catarman. After approximately one-hour ascend, the peak offers the view of the western area of Camiguin. The third time the Old Vulcan erupted, the whole capital of Camiguin including its cemetery sunk underwater. The Sunken Cemetery was once visible during low tide but on the fourth eruption, the cemetery sunk deeper hence the remains can only be seen by divers and snorkelers. 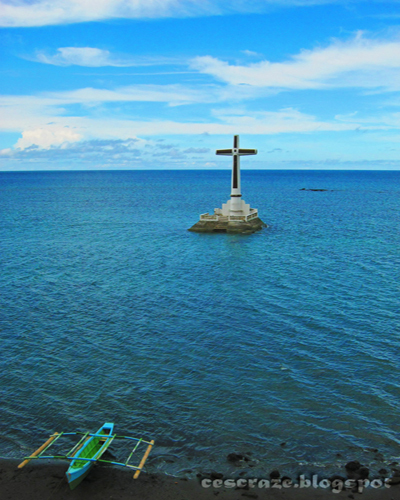 A giant cross was erected to mark the area and remember the remains of the island's ancestors. Like the cemetery, the Gui-ob Church was also destroyed by volcanic eruptions. The church was submerged by volcanic debris thus only the ruins of the church and bell tower remain up to this day. A small chapel was recently erected inside the Gui-ob Church ruins. Being such a fan of ancient ruins and structures, I cannot help but feel grateful that I was able to visit this place. The walls are made of coral stones and I am so amazed of how they remain strong despite the test of time. The Bura Natural Soda Water Swimming Pool is the only one of its kind in the country. Surely tourists will feel refreshed after taking a dip at this cool spring with Mount Hibok Hibok in the background. Just a few kilometers away from Bura Natural Soda Water Swimming Pool is the Sto. Niño Cold Spring. 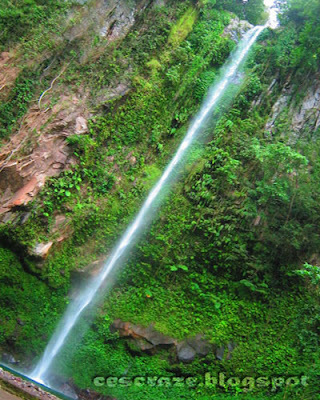 Tourists will surely enjoy the cold spring water sprouting from the sandy bottom. The beautiful Katibawasan Falls cascades 250-foot down to a rock pool where locals and tourists alike can get a refreshing and exciting splash. The pool is also surrounded by ground orchids, wild ferns, trees and boulders. Picnic tables and other facilities are built for the comfort of visitors. 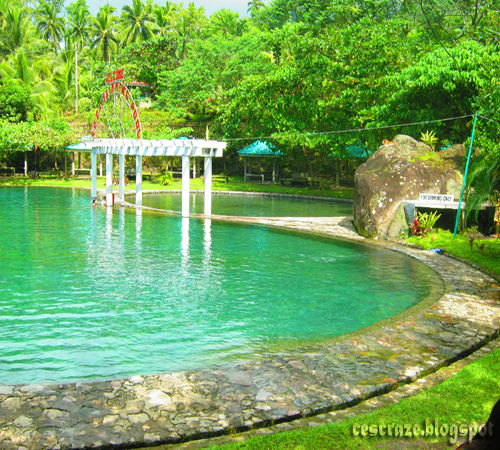 Located at the foot of Mount Hibok Hibok, the Ardent Hot Springs welcome visitors of all ages. The 40 degree-Celsius of water heated by the volcanic activity of Mount Hibok Hibok flows in a tiered pool with varying depth and temperature. So far we didn't have spooky encounters when we were there. I forgot the name of the resort where we stayed but it's just walking distance from Paras Resort and port going to the white island. The island indeed has that mysterious aura given the ruins caused by volcanic eruption and lack of modern infrastructure but if given the chance, I will surely visit the place again.